BURNABY, B.C. — Ballard PowerSystems has never been out of the automotive business completely, but the Canadian hydrogen fuel cell pioneer has flown below the radar while growing its revenue base else-where. Twenty years ago, the suburban Vancouver company seemed on the cusp of becoming the standard in fuel cell electric vehicle (FCEV) development. Allied with major automakers such as Ford, Daimler-Benz and Chrysler, Ballard’s fuel cell stacks — converting hydrogen to electricity — were destined to power the industry into that brave new world. But commercialization has dragged, slowed by technological hurdles, low oil prices, the laggard pace of building hydrogen-refueling infrastructure, and relative indifference from Canadian and U.S. policymakers. Ballard’s original automotive partners and other prospective customers also opted to strike out on their own. The technology promises zero-emission transportation from an infinitely renewable fuel source. “Ballard as long as 20 years ago was seen as the company that was going to introduce fuel cells for all kinds of vehicles,” says Donald Saxman, a Houston-based analyst with BCC Research of Wellesley, Mass. “When that didn’t happen, they actually got completely out of the transportation fuel-cell business for a while and were stressing stationary fuel cells,” Saxman said. Ballard, which hasn’t shown a net profit since its founding 38 years ago, sought shorter routes to stable revenue by developing fuel cells to power centrally refueled forklifts and for stationary and standby power sources. It also focused on transit and commercial buses, heavy-duty motive applications that have become a major revenue source. Seeking a faster road to commercialization did not mean Ballard abandoned the auto sector, president and CEO Randall MacEwen told Automotive News Canada. Ballard has a six-year contract with Volkswagen Group to develop fuel-cell stacks for some models, with Audi leading the effort to accelerate rollout of FCEVs in the wake of the VW diesel-cheating scandal. In 2015, Ballard transferred intellectual property it acquired from United Technologies in 2014 to VW Group in a deal worth $50 million. In return it got license-back rights to use it in non-automotive applications. The VW deal, which runs to 2019, is one of four contracts Ballard has with automakers. MacEwen would not reveal who the other clients are but said there’s been a recent resurgence in interest in auto-motive fuel cells. For now, though, the focus in China is on buses. Ballard has signed deals with China-based clients to supply fuel-cell stacks for electric buses, primarily to act as range-extenders for battery-powered vehicles. Ballard recently announced the opening of a corporate office there with a planned staff of 20. Ballard has bus contracts in Europe, but sees vast potential in China, where the government’s five-year plan has prioritized reducing pollution in its cities by transitioning to green forms of energy and fostering technological innovation. In Canada and the United States, about 5,000 new buses go into service each year and in Europe, about 13,500. In China, said MacEwen, that figure can be between 200,000 and 600,000. “The scale, the magnitude of order, is significantly higher,” he said. 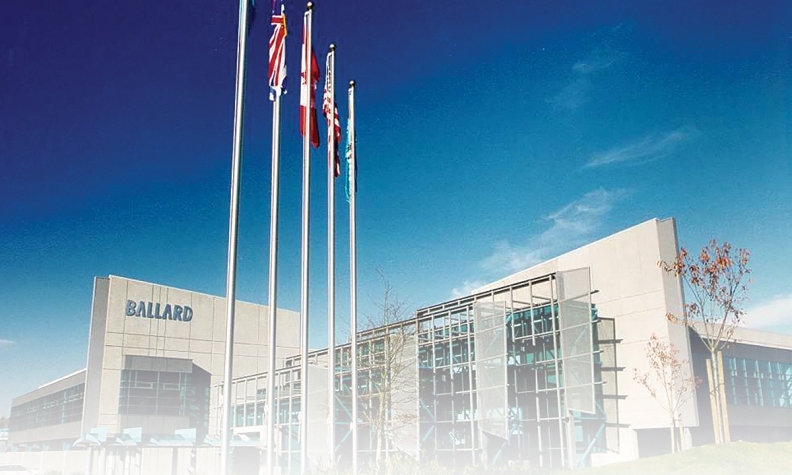 Ballard recently announced a $25-million deal with Zhongshan Broad Ocean Motor Co. Ltd., which owns almost 10 per cent of Ballard common shares, covering technology transfer, licensing and supply arrangements to build fuel-cell modules. MacEwen said BroadOcean has put in a purchase order for 10,000 FCEVs, including buses and commercial vehicles, to exploit the government’s high fuel-cell incentives. “The expectation is that all of them will have Ballard technology inside them,” he said. 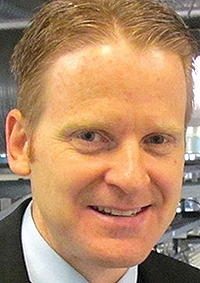 Ballard, with three decades of research and development, is also well placed to help automakers with their in-house fuel-cell programs, MacEwen said. “We’ve already encountered a lot of the most challenging PEM (proton-ex-change membrane) fuel-cell issues a lot of these companies haven’t encountered yet,” he said. Saxman says that Ballard licenses some of its membrane electrode assembly technology to competitors. Ballard reported March 1 that 2016 revenue was $85.3 million, up 51 per cent from the previous year. Its gross profit margin improved 10 percentage points to 28 per cent. While full-year earnings before interest, taxes, depreciation and amortization were still negative $9.9 million, it represented a 35-per-cent improvement from 2015, and fourth-quarter adjusted was $1.8 million in the black. MacEwen said Ballard expects strong growth this year, supported by $87 million in committed orders for delivery in 2017, led by heavy-duty motive, technology solutions and portable power.